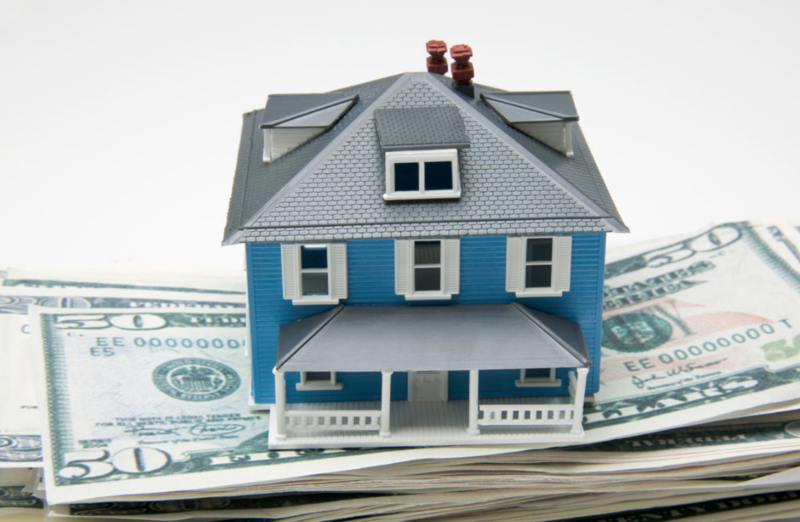 Are you planning to sell your house any time soon? You probably already know that doing a few home improvements and renovations will increase your home’s value and fetch you more cash when you decide to sell. But what you might not know is that not all improvements will pay for themselves when you sell your house. Some have too low ROI and implementing won’t be worth the effort, money and time. 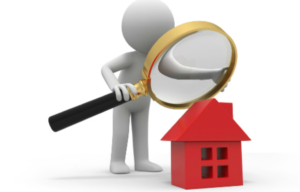 The bottom line is to take a critical look at your home and note down areas that need improvement. Start with simple, basic renovations and work your way up depending on your budget. Many times, it’s the simple improvement and fixes that will make all the difference. Having said that, here are 4 improvements that will increase your home’s value and help you sell faster. When prospective buyers stop by your home, your garage door is among the first things they will check out. A non-functional or damaged door will form a negative impression on the buyer’s mind that will last throughout the house viewing session. Dents, discoloration and loud noises as the garage door moves up and down can easily hurt your asking price and delay the sale. 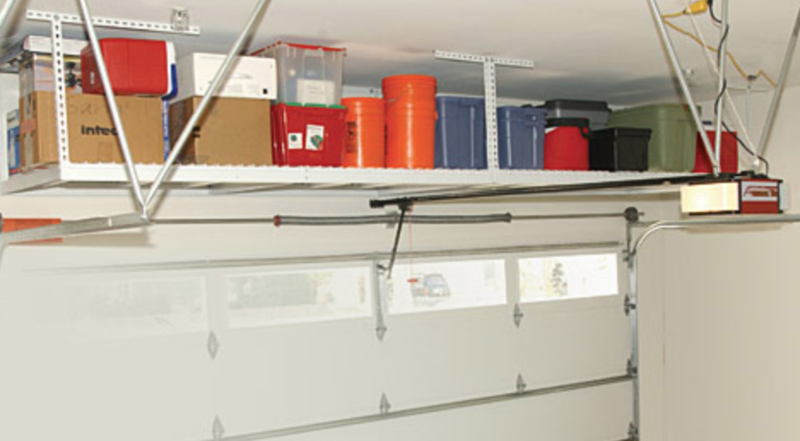 The most problematic parts of a garage door include garage door openers, springs and rollers. Faulty openers, for instance, can cause your garage door to get stuck, move erratically or move in the wrong direction. Worn out springs on the other hand won’t be able to properly hold the weight of the garage door, which eventually causes imbalance. Thankfully, hiring garage door repair services in Rowell GA can have this issues fixes professional and give your potential buyers the confidence of a secure and functional garage door. If you’re putting your house on the market, having a sparkly clean interior will attract more buyers with handsome offers. Most homeowners planning to sell their homes tend to focus too much on the décor and interior colors, forgetting that the floor will also have a huge influence. Having a dirty and stained carpet will definitely ruin the mood of an otherwise promising house viewing session. Dirt, dust, stains and allergens that accumulate in the carpet over time can create an unhealthy living environment. No one wants to move into a home that has potential signs of dust mites under the carpet. So before listing your home for sale, consider hiring professional carpet cleaning services to clean your carpet. Preferably, request for steam cleaning as this removes deep-seated dust, stains and dirt from the inner fibers. Needless to say, your home’s exterior is the first thing your potential buyers will see when they pull up in the driveway. Without even stepping in your house, the exterior of your house can reveal a lot about the effort you’ve been putting towards maintaining your home. A house that has faded, peeling chalking or flaking paint with signs of mold and water damage on the siding is an indication that even the interior is equally neglected. If your garage door is severely damaged with large dents and constant malfunctions, regular garage door repair might not offer a permanent solution. Additionally, repairing your garage too often might eventually become too expensive than just having to install a new door. 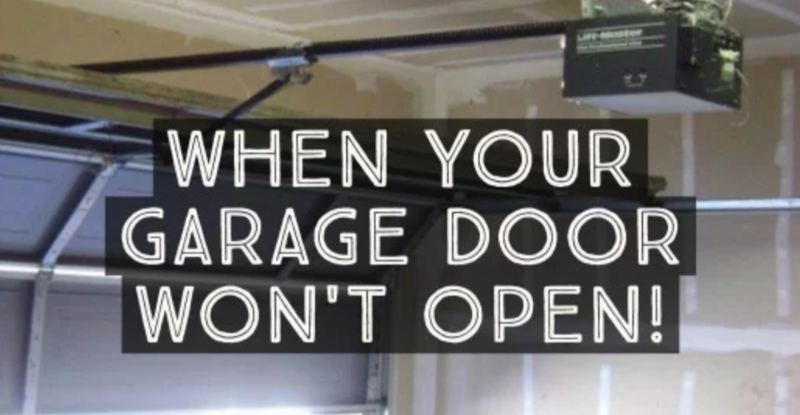 If this situation applies to you, then a new garage door installation would be a worthy investment. A potential buyer checking out your garage will quickly appreciate the new garage door installation for two main reasons. First, it improves the curb appeal and secondly, it offers a sense of security and safety considering most home burglars access houses through garage doors. While there’re many other home improvements you can do to increase the value of your home before selling, the above four will give you a great return on your investment and efforts. If you’re low on budget, you don’t have to implement all the improvements at once. You can start with the simplest and cheapest renovations, and various stages as the funds become available. Your garage door is probably the most frequently use entrance and exit point in your home. With many moving parts, most of them under high pressure and tension, these parts can wear down sooner than you can imagine. Each component of the garage door has a major role to play if any of them fails or doesn’t perform to its optimal capacity, the rest of the components will begin to follow suit. It’s, therefore, crucial to put more importance to your garage door care and maintenance to extend its efficient functionality and minimize the cost of repairs. Having said that, here are some garage door repair and maintenance tips to get you started. Regular inspection is the most important maintenance treatment you can give to your garage door. This will help you catch some defects and arising issues and fix them before they turn into major disasters or expensive repairs. Do a thorough visual inspection of all the major components including the tracks, cables, springs, opener, rollers and other major hardware. Additionally, listen carefully to your door as you operate it and find out if there are any new, strange sounds. As you do your visual and listening inspection, note down anything unusual, including any part that is worn out, broken, loose, shaky or squeaky. Such parts are candidates for repair and replacement. Your garage door needs to be balanced for the garage door opener to run smoothly and efficiently. A door that is out of balance means the opener has to work extra hard to move it up and down, and over time this strain on the opener may cause it to break down. To check if your garage door has balance issues, first disconnect the power to the door’s opener. Then, lift the door half-way its tracks and let go –the door should remain in place. If it falls back to the ground or retracts back, then your door is out of balance. This usually means the springs are not balanced properly and can cause harm. Call a professional garage door repair expert to have this fixed as soon as possible. Roswell, Georgia, for instance, you can contact the nearest garage door repair expert to have this fixed before it causes serious harm. As the garage door moves up and down, it rolls on tracks on either side. The tracks should be kept free of debris and clean to ensure smooth movement of the door. This should be done regularly because debris tends to accumulate on tracks quite fast. In some cases, the tracks may have a dent or become misaligned. This can also cause the door to get stuck, move erratically, fall out of the track or damage the frame. To prevent this, have the tracks cleaned regularly and fix them as soon as any damage or misalignment happens. This is extremely important and yet neglected maintenance task that you can do as a homeowner. As you already know, garage doors have a lot of moving metal parts. These metal parts often rub against each other, and it’s not always a smooth sail. Routine greasing and oiling of the moving parts can add years to your garage and make it more efficient. Weather stripping is meant to keep the weather elements out and usually placed around the edges of the door panel. You should check to see that the entire stripping is present and not cracked, worn out or loose. If it is out of line or damaged, have the garage door weather stripping replaced with a new one for consistency and efficiency. This way, you will not only make your garage space comfortable but also save on energy bills. However high quality and solid your garage door is, without regular maintenance, it can get worn out and age really fast. Some of the maintenance tasks such as regular inspection and lubrication can simply be done by the homeowner. But, more complicated tasks such as garage door spring repair or anything to do with cables and the opener should be left to trained garage door repair experts. 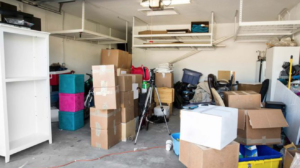 ​​​​​The garage is one of those rooms in your Roswell GA based home that is very likely to be stuffed with clutter. This is especially true if you’re using it purely as a storage room. Since it’s mostly “out of sight” and most of the homeowners spent very little time here relative to the rest of the house, it quite easy for it to be disorganized. One of the main reasons garages become cluttered is because most homeowners use them to store the clutter they clear from the rest of the home. Considering that the garage is the first thing you see every day you come from work, any chaos and disorganization can be quite noticeable. And a disorganized garage and home at large reflects an unorganized mind and life. The first order of business is to go through all your garage stuff and sort everything out. Open all those mystery boxes and find out what is inside –chances are you really don’t know what in all those boxes in the corner. This might seem like a taxing exercise, but it will pay off in the end. Categorize all the items based on what you want to keep, what you want to discard and what you want to donate. Clearing clutter can be quite satisfying and chances are you really won’t miss that old broken bike you have been meaning to fix for years. By design, most garages have a lot of wall space which you can take advantage of. You can look into options like installing shelving units for auto care tools and products, and hanging items like garden tools and even bicycles on hooks. This way, you will be able to cut down clutter and free up plenty of space on the floor. Another great way to utilize the wall space is by installing a pegboard. These boards are very resourceful for organizing cords and tools and make them easily accessible and visible. These are relatively cheap and need very little skill to install. The wall storage system is great for utilizing your vertical space. If you really want to take space utilization and home improvement to a new level, overhead garage door storage units can come in handy. 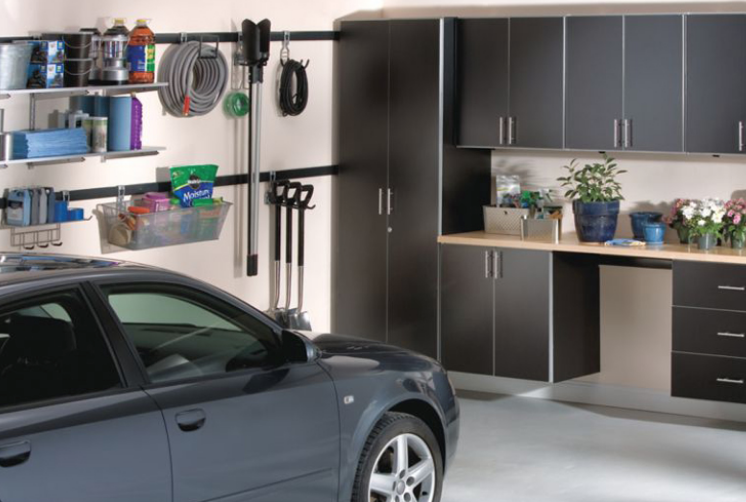 It’s a great option if you want to really utilize vertical space in your garage space. These are special racks, usually made from sturdy metal, can be hanged in the ceiling, and allow you to use the top 2-3 feet of your garage space. The overhead racks should be preferably used with plastic bins. But before using this method, you need to ensure that your ceiling is high enough to avoid hitting your head. Secondly, be extremely careful about installation so that you ruin your ceiling. Also, go slow on the amount of the weight you put in these racks as it might be tricky to move them off and on. Properly installed overhead storage units can allow you to utilize that top space the garage that you never thought was accessible. 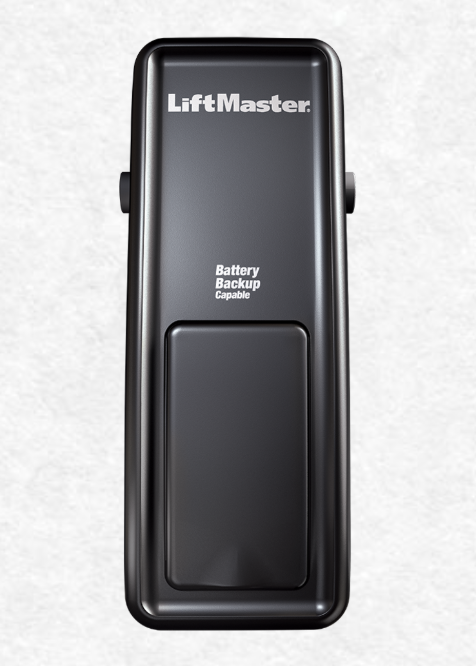 If you would like to clear out the center of your garage ceiling by relocating the garage door opener the Liftmaster 8500 is a perfect option. Model number 8500 this opener features a battery back up, rolling code security and conveniently mounts on the side of your door rather than hanging down from the ceiling. While this may no create a lot of usable space it can definitely open up the overall appliance of your garage. Be sure to contact a professional for garage door opener installation. Cabinets are some of my favorite home improvement and organization tools when it comes to decluttering home spaces. 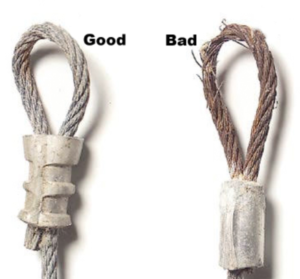 You can easily keep messy looking items such as jars of screws/nails or bundles of cords out of way. Other than keeping your items organized, cabinets can be useful for keeping toxic or harmful material away from children and pets. Garage storage cabinets are available in various designs –from small wall-mounted cabinets to taller, standing storage cabinets. Storage cabinets provide an ideal way of increasing the amount of storage space available and keeping your garage looking organized and clean. 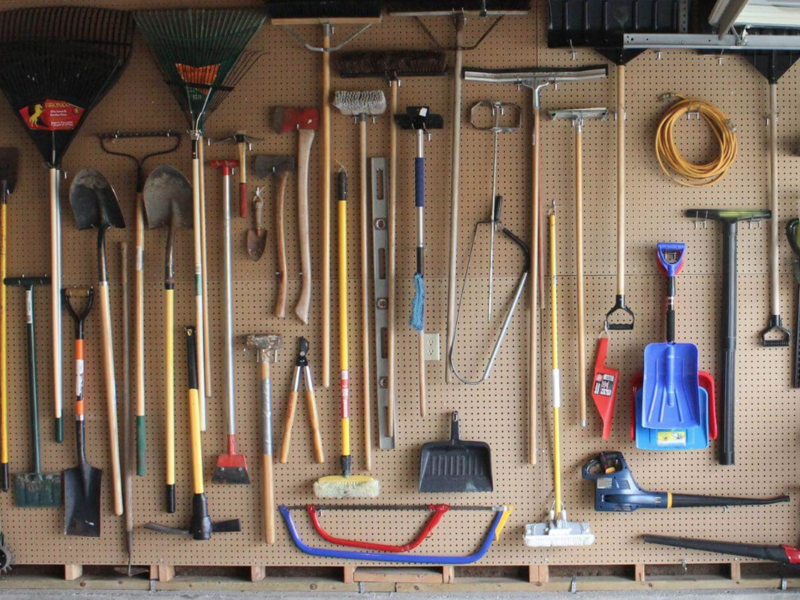 Getting your garage organized is one part of the struggle, the second part is keeping it organized. Go through your garage every after three months or so and do some touch ups –making sure everything is where it’s supposed to be. You don’t have to wait for years so you can do an overhaul. During those maintenance sessions, declutter those random items that might have made their way in the wrong quarters of the garage. This is also the best time to make some tweaks to your organization systems so that they match your evolving needs. While at it, don’t forget to maintain your garage itself. For instance, if your garage door needs a new garage door opener installation or repair, repainting or fixing a broken spring, maintenance time is a great time to make these fixes. The Roswell homes garage door is bound to undergo wear and tear over time considering it’s the most frequently used exit and entrance in most homes. Consequently, your garage door will inevitably experience malfunctions every now and then. One of the most common problems you may have already noticed is door jamming. When your garage door refuses to open completely or doesn’t open all the way, the root course could be any number of areas. It’s best to understand the most common courses of this problem and whether it requires the attention of a professional. Below are the 5 common reasons why your garage door won’t open or close. Most modern garage doors have a photo eye that detects if an object or a person is blocking the path of the door. The photo-eye is typically located about 4-5 inches off the ground. 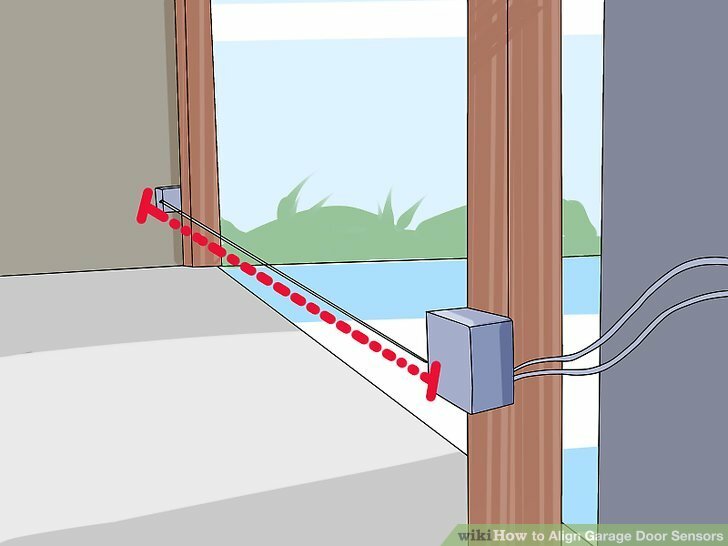 The sensor shoots a laser beam across the length of the door, if the beam is interrupted, the signal used to raise or lower the door will be cut off. Inspect to see if the cable attached to the sensor is damaged or cut; a leak or rainstorm can occasionally damage the photo eye. Dust and dirt can also clog the eye and interrupt the beam, so cleaning the photo-eye with a tissue can sometimes resolve this issue. Garage door torsion springs are typically under high tension due to the massive weight of the door. When a torsion spring breaks, it can be quite loud – it will sound like a gunshot or a firecracker. Garage door springs are rated based on the number of cycles, and it will probably be the first thing to break on your garage door. If you have a broken torsion spring, your door will stay shut and won’t respond to the trigger of your remote or wall switch. Do not attempt to open the door manually when you have broken springs as it can be very dangerous. The garage door spring repair task should be left solemnly to trained professional garage door repair experts. 3.Your Garage Remote Control has malfunctioned. Sometimes the reason your garage door isn’t opening could be as simple malfunctioning remote control. If your remote doesn’t seem to trigger your garage door, you need to check a few things. Check if you’re within range or if the remote control antenna is blocked/damaged. Secondly, try opening the door with the wall switch, if it opens, a simple change of batteries could be all you need. Also, try reprograming your remote, and if all fails, then there could be a problem with the remote control itself. Garage door off track issues are quite common, especially with extra heavy metallic doors. If your door is off track, it won’t slide smoothly or it will get stuck in the tracks in a skewed position. Check the track for bumps, gaps, obstacles or bends. Watch and listen as the door slides and take note of any friction areas or squeaks. Check why the door is slowing down and see if you can identify the track section that is misaligned. You can fix the issue by loosening the screws holding the track to the frame and tapping the track into the proper position using a rubber mallet. Tighten the screws once you’re done. Other times your garage door may not close or open for the simple reason that power supply has been interrupted. One of the scenarios could be that you unplugged the power cord absentmindedly as you were exiting the house and forgot you did so. In most cases, however, a more serious issue such as the circuit breaker or a blown fuse could have interrupted the power supply. Additionally, check to see that the power outlet is working properly by inserting another electronic device in the socket slot. If your garage door won’t close or open, check out on the above-mentioned areas and chances are one of them is the course. If all the above areas have been addressed but you still can’t get your door to open, you should call in a garage door repair professionals to have your door checked. Above all, it’s good practice to schedule for regular maintenance of your garage door to prevent sudden breakdowns. Garage doors are an important part of your home, however, it’s easy to take them for granted or overlook them during regular maintenance of your home. Keeping your garage door working efficiently and looking great plays a major role in improving your curb appeal, security and value of your property. While garage door repair and maintenance should always be your first alternative, it reaches a point when garage door replacement makes more financial sense. Over time, your garage door will undergo wear and tear, age, and stop functioning correctly. Here is how to know that you need to replace your garage door. If your garage door is experiencing repeated trouble opening or closing as well as persistent breakdowns, you should consider replacing it. The time and money spent on repair service calls, labor, and garage door parts replacement can become costly warranting replacement with a new door model. Other than the cost, a garage door that keeps breaking down can be a safety risk to your valuables and your loved ones. It therefore makes economic sense to replace your garage door if major persistent issues are present. Garage doors often start making noise over time, and a little tune-up can improve the situation. However, if you notice excessive grinding, straining, cracking and creaky noises, it might be time for a new garage door installation. New louder noises are clear signs that your door is deteriorating. This could cause more serious problems that will lead to additional repair costs. Replacing your door in time can prevent potential injuries often associated with garage doors. Over the years, garage doors have undergone numerous improvements in design, architecture, and function. Newer and more stylish doors have now been developed and most of the designs can greatly improve the curb appeal of your home and subsequently add value to your property. You can now get garage doors in a variety of formats and styles with windows, iodized frames and other accessories that improve the look, functionality, and impact. If you’ve always admired a custom wooden garage door, now could be the best time to go for it and kick out that old, dated aluminum door. Modern garage doors are designed with safety and energy efficiency in mind. Some important energy efficiency features include insulation, bottom seals, sealing joints and weather strips which keep the heat in and the cold out. This, in essence, reduces your energy consumption while keeping your family warm and safe. If your door lacks most of these components, you should consider replacing it with a new modern one. Older garage doors don’t have the high level of security that we see on new models today. Construction methods, materials, and features have evolved over time resulting in garage door models with studier designs and additional smart locking mechanisms. Most thieves now target older style doors which almost always the weakest link in security. Modern doors also incorporate safety garage door parts and features such as sensors and auto-retraction to minimize accidents. Other models even come with smart garage door openers that can be linked to mobile apps for remote monitoring and control. If this sound appealing enough to you then it’s high time you did an upgrade. Broken garage door parts such as broken handles, hinges, and wires are a serious sign a new garage door installation is due. Hanging wires and broken door handles will limit your door use as well as present a safety hazard to you and your family. As already mentioned, a simple malfunction or flaw doesn’t warranty replacement of the entire garage door system, as a garage door repair might be all you need. However, if you see one or more of the signs listed above, you should seriously consider replacing your garage door for safety, security and functionality reasons. As a rule of thumb, always seek for the professional door repair and installation services when anticipating major upgrades such as installing a new garage door. 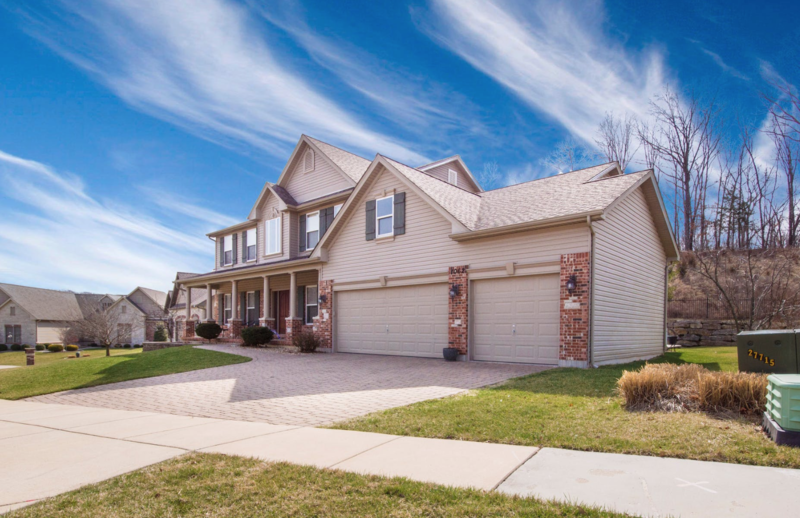 Being a residential homeowner in Alpharetta GA means that you have to keep up on regular garage door repairs in order to ensure a well-functioning garage door opener and spring system. While you are lucky enough to not have to deal with salt and snow, Georgia can still get quite hot and humid with high levels of rainfall. It’s these elements that can cause havoc to your garage door parts and require possible repairs to garage springs, door openers, and other related parts. In this article, we will highlight some areas that you as a resident can monitor and provide service to in an effort to prolong premature Alpharetta garage repairs. For the most part, your Alpharetta garage door springs should be just fine without lube, however, if you happen to get a squeaky spring you may consider spraying it. If your garage door spring is squeaky when running, it doesn’t necessarily mean you need a spring replacement. However, if you let a garage spring that is overly dry from the Alpharetta GA heat continue running without maintenance, it is possible that you will reduce the cycle life as a result from high friction levels. It would be at that time your spring brakes and you require repair. (Garage) Door Opener Chain Gress Ya or Na? If you didn’t already know your garage door openers chain comes with a protective coating on it when delivered from the factory. This coating is designed to last the life of the openers motor and shouldn’t need any grease in order to remain rust free. However, if you feel that you want to give your openers chain a little love during spring cleaning, you can wipe it down with some wd-40. This will clean it and act as a moiture repellenty with out gumming everything up with actual grease while promoting the prevention garage door opener repairs. Its actually the garage door opener track that needs lubrication. Many people will apply lubrication spray to the bottom of your tracks service. When in reality the garage door openers trolly runs and grips down on the top of that track. This is where all the friction is and where any spray should be applied. 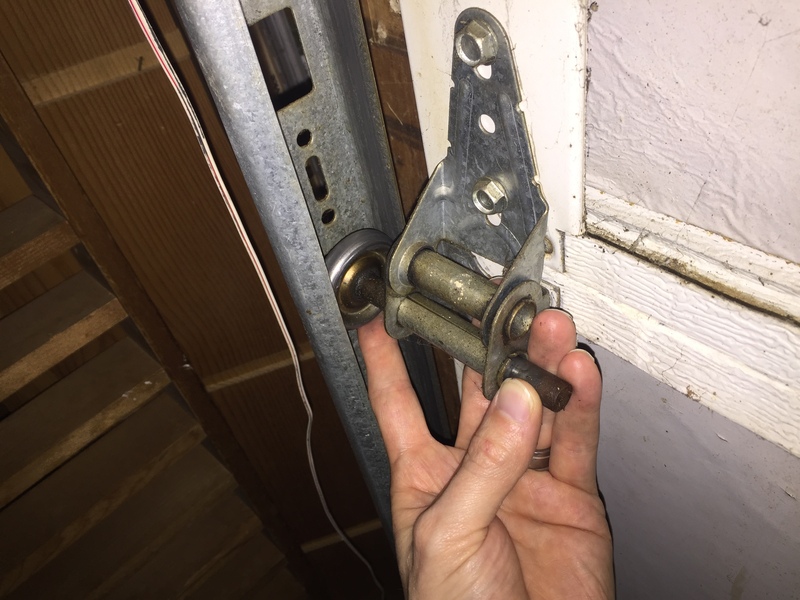 Keeping everything running smoothly with these regular greasings can not only make for a quieter door but also prolong andy possible door opener or spring repairs. Any quality garage door roller will have their bearings sealed. However, if your rollers are made of steel its likely they are either old and out of date, or are just cheap. A cheaper garage door roller will not have a seal an would require lubrication. Your rollers play a big roll in the overall resistance against friction that your garage door system experiences during operation. If your rollers are sticky you can hurt both the openers motor, gear or cause for stress on the garage spring, leading to repair. Spraying your rollers once every 6 months is a good intervale. Make sure to not get a bunch of spray on the track though. 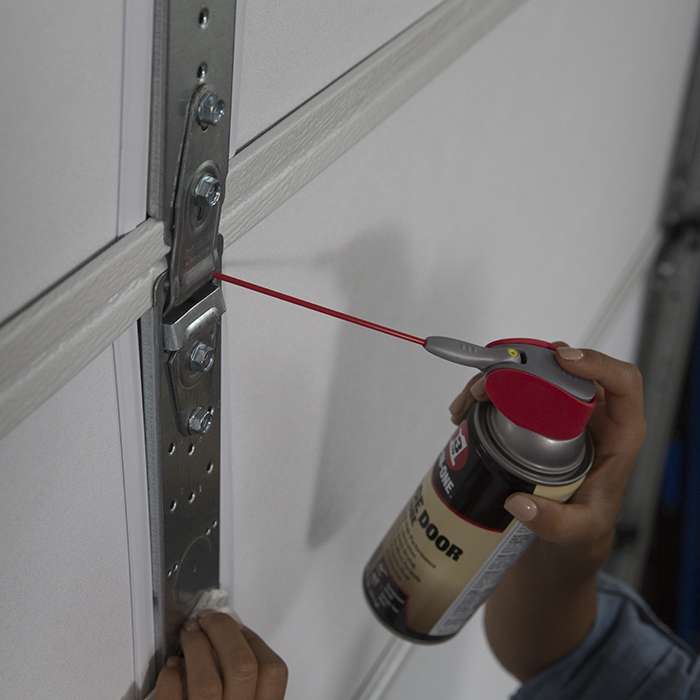 Spraying your garage door rack will result in a build of dust and grime. This lead to un-necessary garage door repair services. Keeping everything running smoothly isn’t to difficult. A couple times a year you can gibe your garage a once over and promotes its garage door repair free life. If your wondering which garage door lube to get, you can easily ask a local hardware store what they have in stock. You will want a Lithium based spray. If you feel you need to call a Garage Door Repair Experts we are on standby. Choosing a garage door repair company can sometimes be a nerve wrecking experience. Many times, when you need a garage door repair expert, it’s usually not a planned event. Unless you have a previous relationship with a local garage door company, you may find yourself in a fix when your garage door malfunction catches you by surprise. This is why we have compiled this quick list of tips to help you make the best decision. These two methods are the most reliable when it comes to picking potential candidates for your garage door repair task. Ask your friends and family members about the company they use, or if they can at least point you in the right direction. Most of them will also be more than willing to share their experience with the companies they have used before. If personal references are not available, you can do a quick Google search, making sure to include your location in the search term so as to get local results, for example, “Garage Door Repair Experts in Alpharetta”. Alternatively, if you have diagnosed the issue already, you can get a little more specific with Google and search for terms like “garage door opener installation’ or garage door spring repair’ depending on what your specific issue is. It’s much more convenient to establish a relationship with a professional local garage door repair company because they can come in handy when you need emergency fixes (which is almost always the case with most garage door malfunctions). You can quickly tell if a company is local by taking a look at their website or calling them. Be sure to check if they have a local area code and if their physical business address is local. If you live in Alpharetta for instance, you want to find the best company that is nearest to your area code, or at the very least, not outside Georgia. Reviews, feedback, and opinions from previous customers are a powerful way of judging the company’s reputation and quality of service. Check out Google reviews and comments to have a good feel of what you should expect when working with that specific garage door repair company. Ideally, you should favor a company with a large number of reviews, positive comments, and a high average rating. If you’re checking out reviews on directories like Yelp or Angie’s List, you might also want to check out how quick the company resolves customers’ issues and handles negative feedback. After narrowing down to 2 or 3 highly rated local garage door repair companies, you need to spend a few more minutes on each of their websites. This time you will be looking at how professional and updated their website is, their services, area of operation, and photo gallery of the work they have done before. A good company should cover a wide range of issues that arise with garage doors. If you have a specific repair job in mind –such as garage door spring replacement or garage door opener repair –check to see that the company offering it. It would be nice to also check if the company offers emergency repair services; this is important because they will help you resolve garage door issues as they arise in a timely manner. A garage door is an important and sensitive part of your home; it’s the largest moving part of your house, the most common entrance/exit for most homes and it’s also associated with some of the nastiest fatalities when things go south. This is why it’s important to seek a service company with well trained, professional and highly experienced experts. It’s not just about how long they’ve been around, but how much experience their experts have with your specific repair task. After factoring in all the above five steps, it’s time to talk about pricing. The rule of thumb is you shouldn’t automatically go for the cheapest price in your options. Remember, quality of service is the most important aspect and should ideally override the rest. So while getting an affordable quality is equally important, it should not come at the expense of service quality. Most companies will give you an estimate of the repair cost if you describe the issue to them in detail, maybe tell them the type and model of the motor or opener that malfunctioned, or even take a photo of the broken parts. This is however never a guarantee until they visit and inspect your garage door. Well, that wasn’t difficult, was it? Yes, finding a reliable professional garage door repair service can be an uphill task, but with the above tips, you should be able to make the right choice with relative ease. If you find a good garage repair company and like the quality of their service, be sure to leave a review Google to help out other people who need the service. You may also want to keep their business card within reach for when the next issue arises, or when your neighbor needs a recommendation. How smart is your garage door ? A few decades ago, smart homes were only a reserve of affluent families and science fiction movies. Today, home automation systems can be added to pretty much every function and feature in home including garage door openers, door bells, windows, security cameras, hot water heaters, speakers, clocks etc. Home automation devices have generally made life simpler and quite exciting. If you’ve ever rolled up your driveway on a rainy day, you know how important simple things like an automated garage door opener can save the day. Today, we will look at the automated garage door smart apps and other smart home products that you should consider including in your home security system. Automated garage door smart app. While garages offer the much needed additional storage space other than housing your car, they are also potential entry points for burglars. This is why it’s important to ensure that your garage door is locked and secured at all times. 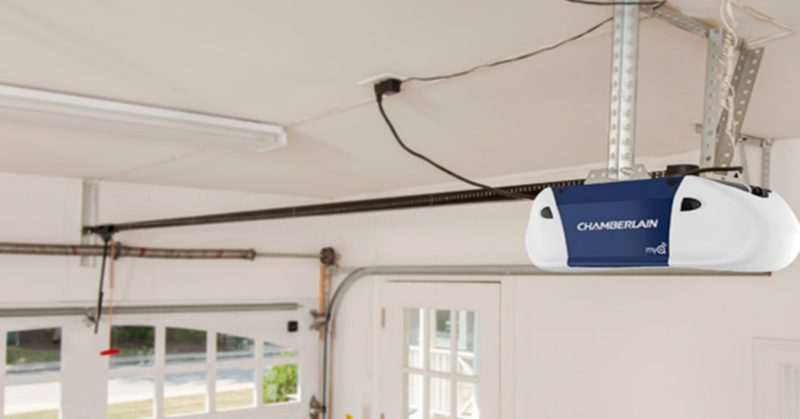 Most modern garage doors have automated openers that can be controlled using a remote device, however, most pf them can only be used within a close range. And this is where the garage door app comes in. Garage doors today come with smart automated openers that can be easily linked to a mobile app to be controlled from anywhere. The app allows you to see if the door is open or closed, and you can close or open it from anywhere. Most garage doors designed after 1998 can be easily retrofitted to facilitate smart control. It can also be fitted with features like an auto stop feature and audible alerts before it closes. If you’re seeking for garage door opener repair or replacement, you should consider replacing the old opener with a new one that is integrated with a smart app. 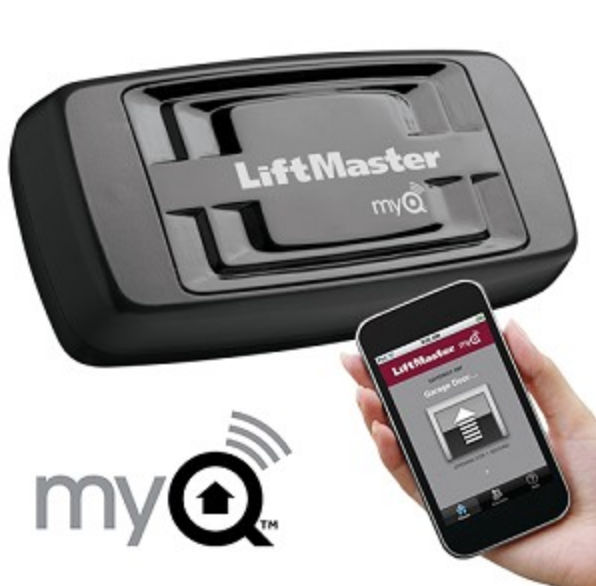 LiftMaster MyQ garage door remote is one such app that allows you to check the status of your garage door from anywhere on your mobile phone, tablet or PC. Some of the MyQ core security features include real-time notifications when the garage is closed and opened by anyone. You can also preset times for your garage door to close or lights to come on/off using the Scheduling feature. Other than the garage door and lights, you also open and close gates, view a live video feed and adjust the temperatures of your house if you have the appropriate accompanying smart hardware and configurations in place. Whether you need to protect your valuables from extreme weather or safeguard your home from potential intruders, Smartphone monitoring and control using MyQ can be a handy move. 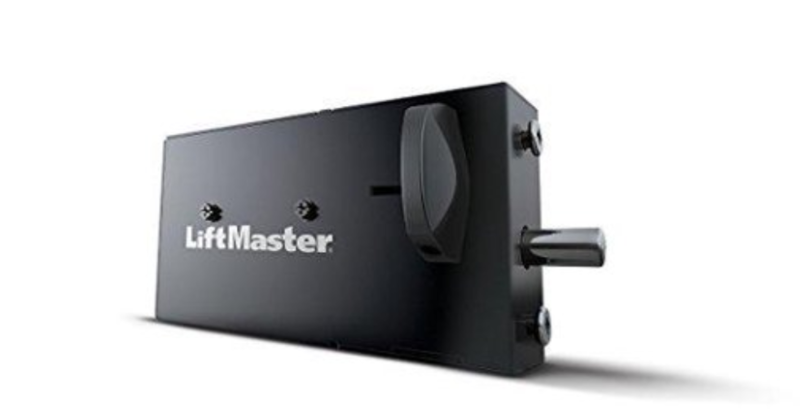 In order to use the app, you will need to install one of the best garage door openers from LiftMaster that is compatible with the app. And this includes LiftMaster models 8500W, 8550W, 8587W, and 8360W. If your next garage door repair session has something to do with repairing or installing a new opener, it might be the best time to switch to an automated garage door opener supported by a smart app such as MyQ. As a rule of thumb, always seek for local professional garage door repair services to have this fixed correctly. If you live in Marietta, Atlanta or Alpharetta, for instance, try searching for terms like Alpharetta Garage Door Repair’ or Atlanta Garage Door Repair to find the nearest garage door repair company. Other smart home products worth noting. •Security Cameras: This kind of cameras allow you to remotely monitor your home from your smartphone or laptop. You can see in real time what is happening with your kids, elderly parents or pets. 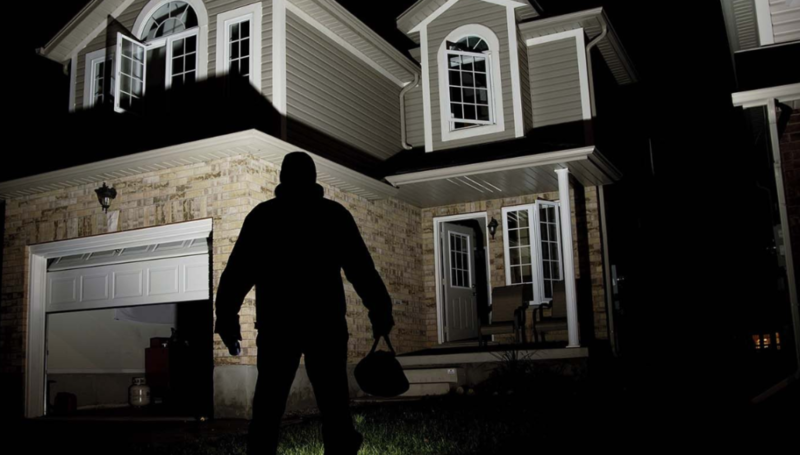 You can also be able to tell if an intruder tries to access your home. •Smart Thermostat: smart thermostats can be great way of saving on energy cost. You can easily control your thermostat remotely using a smartphone, tablet or computer from anywhere, enabling you to keep the heat down and then turn it back up before you head home. •Remote Doorbell: you can also include a door bell that alerts your mobile phone or tablet when someone is at your door. You can choose to receive an email or a text message when your doorbell rings. •Remote Lighting: if you work late more often and don’t want to come home to a dark house, you can add light automation to your home smart security system to allow you to turn lights off and on from your PC, tablet or phone. You can control indoor lights, outdoor lights and even program when lights come off or on. Home automation systems are no longer just fancy additions to modern homes but rather necessary convenient and security additions. Having an automated garage door opener and an app like MyQ allows you monitor and control your garage door remotely from anywhere. Security cameras, smart thermostats, remote lighting and smart doorbells are just a few other smart home functions you can add to your home. Preferably, you should find an app that allows you to control all these functions from one place. A properly functioning garage door system should run smooth and if not, it could cause for garage door safety risk. It should be relatively quite and should not shake your entire home when opening and closing. 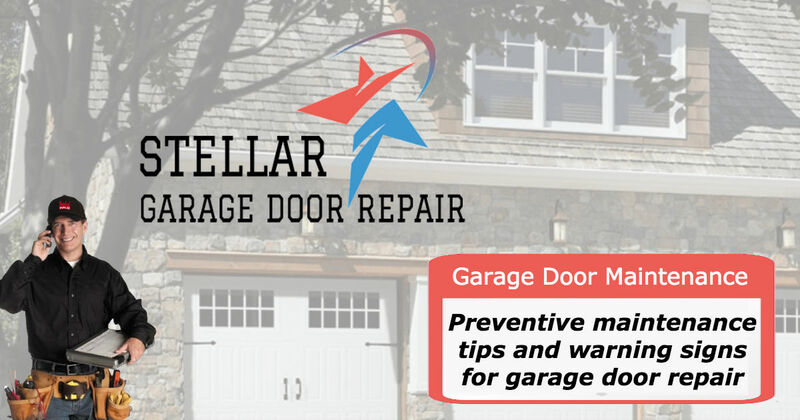 If your garage door is displaying abnormal behaviors its most likely in need of a tune up and if left unaddressed will decrease the lifespan of your garage door parts. The Causes: This type of behavior could be cause from a number of things, garage door rollers may be warn out and not gliding smoothly, the track could be out of alignment and binding down on the rollers, or the garage door openers belt / chain may be loose causing for slippage. These items should all be inspected as preventive maintenance. Often times when you think your garage door opener is overly loud your being mistaken for the entire system not working together as smoothly as it should. If your opener system isn't working smoothly yes there will be added noise and while this is likely culprit of the entire system, it doesn't remove the opener from being overworked and possibly damaged. If your Alpharetta home garage door opener or the entire system nuts and bolds have rattled loose this will cause for loud operation and a shaky opener. Go though and make sure everything is tight. Still stuck? Call a garage door repair expert! If you have inspected the previously mention areas and still are unhappy with the performance of your garage door opener and the system as a whole it may be time to call in a garage door repair expert. 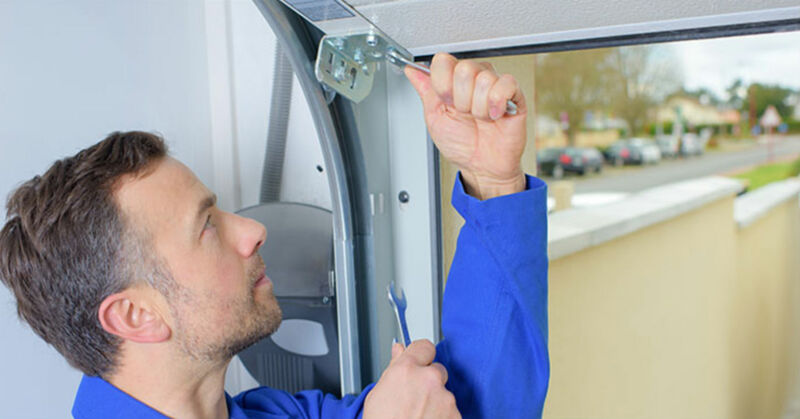 Garage Door Experts Repair is located in Alpharetta GA and provides repair services though OTP North of Atlanta on Garage Door Openers, Springs, Panels and all other related parts. Tips on garage door repair and their significance. 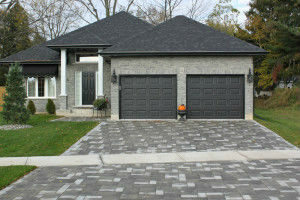 Your homes garage door system ought to be maintained the whole year round. This is paramount to ensure that it is working smoothly and not subject to failure. Keeping that in your mind, you should rapidly approach small issues that have to do with the garage door. If these minor issues are not addressed early and properly, they may advance to more severe problems, ones that may lead to a need more extream garage door repairs and result in you having to shell out unnecessary amounts of money. It should be noted that the absence of detached parts lying on the ground of your garage is not an indication of a well functioning garage door as there can be items that may still be intact but require maintenance or even repair. With that said there are a few things that a home owner has to be vigilant about in order promote the good working condition of your garage doors operation. Below is the list of the important things about the garage door repair and maintenance: If you need any assistance with repairs or installation contact us the Garage Door Experts. First, you may require securing or tightening of the door panels. Sustained use of the garage means that this homes addition is continually subjected to wave forces. Ultimately, these forces can take their damage to the door by making the brackets and fasteners be loose after a particular period of time. In order for you to bind these bolts or fasteners for your door, use a wrench or socket for the repair. 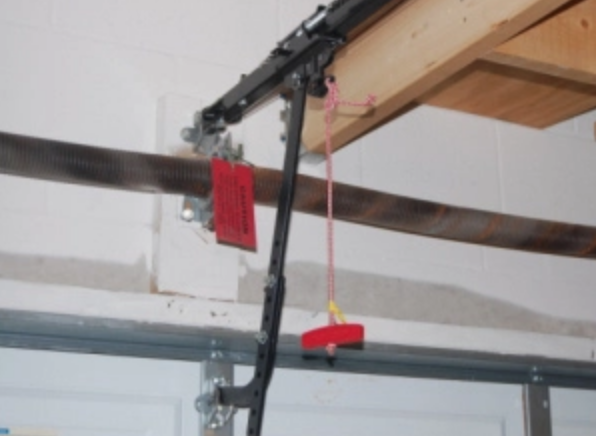 If it is linked straight to your garage door opener, it is advisable that you should detach the lines first by stretching your emergency release grip. Applying this technique can assist you in closes any gaps you may have between garage door panels. Sequentially, the rest of the elements will hold firm against one another. In the same way, you will need to tighten up the hinges joined to your door too. Missing bolts, as well as nuts, will need direct replacement and garage door servicing to avoid disturbances in garage works. If these items are left un addressed it could lead to a need for garage door panel replacement. A good door should remain in its position even when it is released. If it falls, it is mainly due to worn out or under tensioned garage door springs. Inspect the state of the springs before doing anything severe. If the springs are really worn out, you can easily replace them with brand-new springs. This type of repair is best left to a professional as they maintain the proper training, experience, tools, and supplies to get the job done quickly and safely. 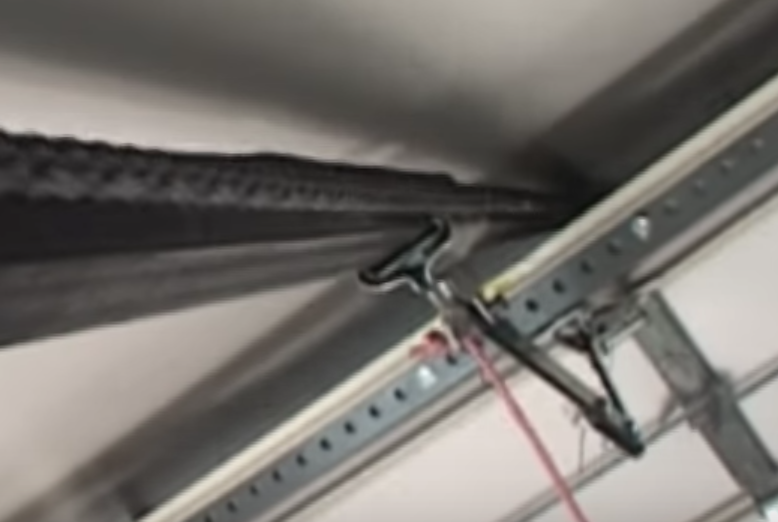 Note: Repairing a garage door spring can be dangerous due to the extreme levels of tension they are placed under. It is important that you check out the rollers connected to your door. One way of finding out about the status of the door is by trying to spin the stem using your fingers. In an event that you can spin it without encountering powerful resistance in the process, there are high possibilities that everything is working well and there is nothing to worry about. However if your rollers are frozen and binding on the rail system this may indicate issues in gliding forces and resistance involved in garage door movement, which in turn creates unwarranted stress further promoting possible garage door opener repair. To solve this problem through garage renovation, you may apply a drop or two of oil meant for garage door door parts. This will keep your bearings greased, steel rollers will particularly need you to put one or two drops of the garage door lubricant on them every 6 months. It is a good practice to be checking out the roller inside the track for your garage door. You should instantly substitute your rollers with new ones if they look worn out. For the case of track renovations, you should search for the appearance of bent tracks along the whole span of the door. Normally, you will notice these bends along the arch on the track because that is where they usually take place. When repairing either of these bends, you can make use of your vice grips. Also check the brackets that are meant to hold the track against the wall. Tighten the lag bolts if they have become insecure as they could be the reason for the bent track and uneven operation of the opener system. 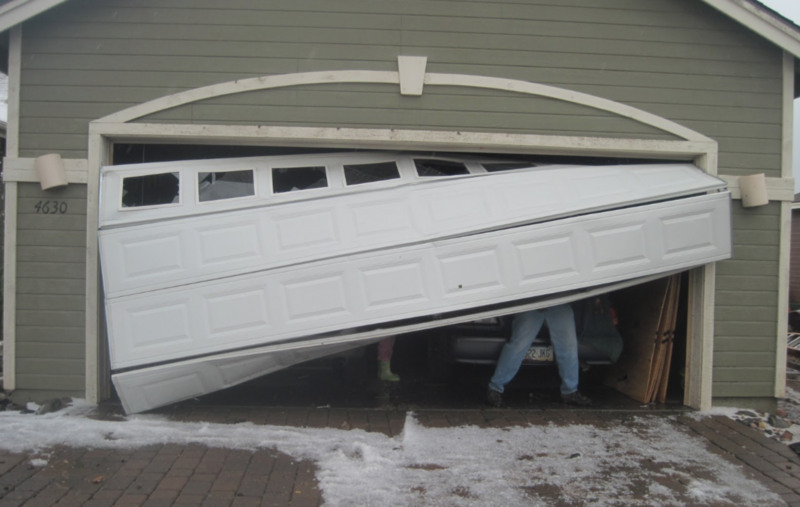 If left unattended it is likely that your garage door will fall off track. Once addressed, you may shut the garage door. The latest models of garage doors have two sensors, each at both sides. The door will fail to open or close if there is something blocking the signals between the two or if they are out of alignment. To remedy this you may need to wipe the sensors to ensure that they are free of grime that is preventing the signal to pass through or you may have to check the level and alignment to be sure they are parallel to each other. If you are aware of what you are looking for the garage door renovation will not be challenging. That is the reason why you should be aware of its electrical as well as the physical parts. Not identifying where to begin will indeed give you an impediment, and it will compulsory for you to look for a repairman. If services are required and your search for garage door repair near me the Garage Door Experts provide garage door repairs in Alpharetta GA. We also preform installation and repairs though out the greater OTP North of Atlanta. 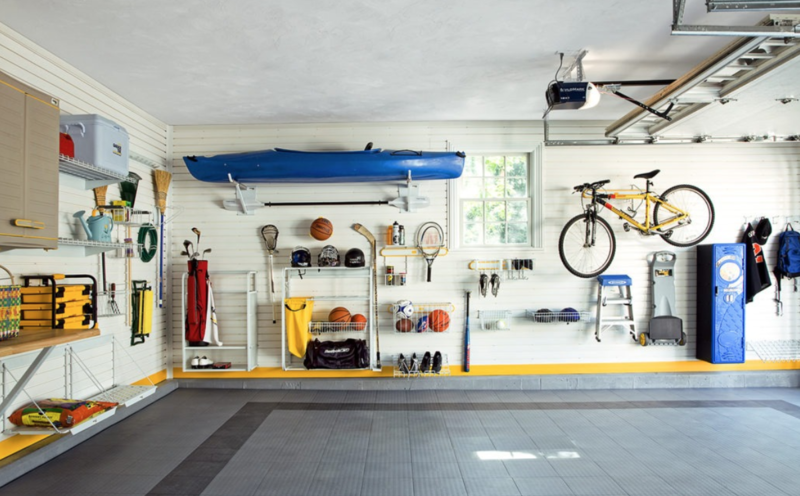 With so many outdoor activities at your fingertips, it is very easy to neglect the garage. A garage repair, installation, or remodel is exactly what most homeowners need and it starts with a plan that involves custom garage cabinets or new garage door installations. The garage should not be considered as just a place where excess stuff can be dumped and the car parked. Rather, it should be seen as an extension of the home’s architecture increasing curb side appeal and organization efficiency. While professional installation of a storage organization system or custom garage doors can drastically transform your garage space, the installation of cabinets and doors, especially in the garage is more complicated than it seems. Acquiring the services of an garage door expert or visiting a supplier will often ensure that everything is installed perfectly and in such a way that they will remain securely fastened and in good operation for years to come. There is no disputing the fact that services acquired from professionals are often of the best quality. This is attributed to a well-trained staff who have gone through extensive examination for months or even years to test their skills in that particular line of work. Because suppliers and contractors are licensed to carry out the practice, they can also be trusted to provide the best in quality garage door parts and custom cabinet options when compared to the DIY option of ordering everything off line your self. Suppliers will carry superior hardware, and high-grade laminate products which are capable of withstanding all sorts of harsh conditions. A respectable garage door service or cabinet company will also work closely with you and find an option that fits within your budget with out compromising quality. Here are a couple links to storage cabinet professionals and garage door suppliers / repair services near you. Looking for a new custom garage door or in need of the best in quality garage door opener installation? have got what you need. Specializing garage door repairs and installation we are a one stop shop for garage door services. Professional garage suppliers give a wide selection of garage doors and cabinets and while you get to explore the variety and quality of every one available, keep in mind that there are several different aspects to factor in when you wish to buy. First, there is a wide range of materials from which they are made out of including different kinds of metal, wood and plastic which are processed differently and have unique forms of finishing. Of course opting for heavy duty materials when it comes to garage cabinets is often mandatory as they are subject to harsh, wet and heavy items that could beat up your investment over time. While the cost may be a bit more sourcing customized garage doors or cabinets from a professional, it will put you years ahead in the game as you are assured that it will serve you for a much longer period. Getting garage cabinets or garage doors from a professional showroom comes with additional benefits. Figuring out which is the best for your space is quite the task. As part of the purchasing process, you will be equipped with experts knowledgeable on residential garage outfitting. This could include ideas on floor coating, workbenches, ceiling storage hoists, shelving, garage door openers, and how they relate to the over all arrangement and spacial utilization. Best of all, they will not charge you extra for giving you a tour and helping you select the right designs for your home. Almost all of the garage door suppliers and cabinets professionals provide services that are covered by a warranty of some type. This is not just a promise that it will serve you for many more years to come; it is also the reason why they will strive to give you the best possible services to ensure that those you buy from them serve you perfectly. Warranty details may differ from one company to the other but the reputable ones whose products most showrooms try to keep in stock are those that offer a 100% satisfaction guarantee. Showrooms offering these kinds of warranties are dedicated to offering outstanding service and are willing to stand by their customers and take care of any problems or issues that may arise promptly. When all is said and done, the decision on how to realize the most from your garage lies with you. Withal, it is very important to acquire your custom garage accessories and parts from a professional showroom especially because you are assured of getting the best quality items that will serve your needs sufficiently and the most reliable and friendly services you can ever find in the market.